Product categories of Weight Plates, we are specialized manufacturers from China, Weight Plates, Standard Weight Plates suppliers/factory, wholesale high-quality products of Weight Lifting Plates R & D and manufacturing, we have the perfect after-sales service and technical support. Look forward to your cooperation! 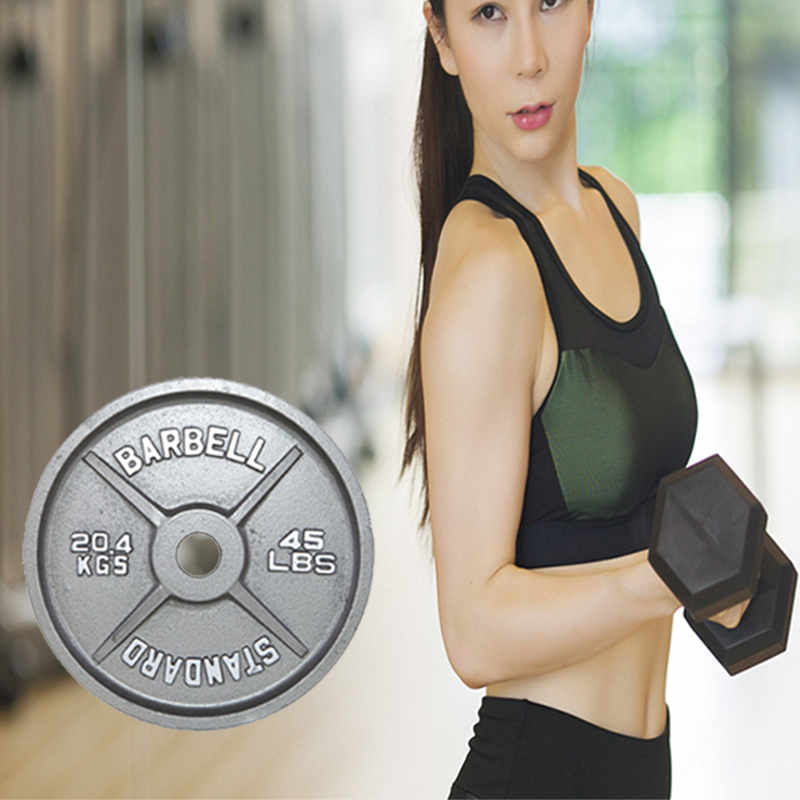 Weight plates is a flat, heavy object, usually made of cast iron, that is used in combination with Barbells or Dumbbells to produce a bar with a desired total weight for the purpose of physical exercise. Most plates are coated with enamel paint or hammer tone to resist corrosion, some are also coated with chrome, rubber or plastic. Two general categories exist, Standard plates, which have a center hole of approximately one inch, and Olympic plates, meant to fit on the two inch sleeves of Olympic Barbells. Weight plates are available in a range of weights.